Yemi Alade in Collaboration with BoomPlayMusic is giving away Smartphones to Fans. 1. Download Yemi Alade's Album #BlackMagic on Boomplay Music App. 3. 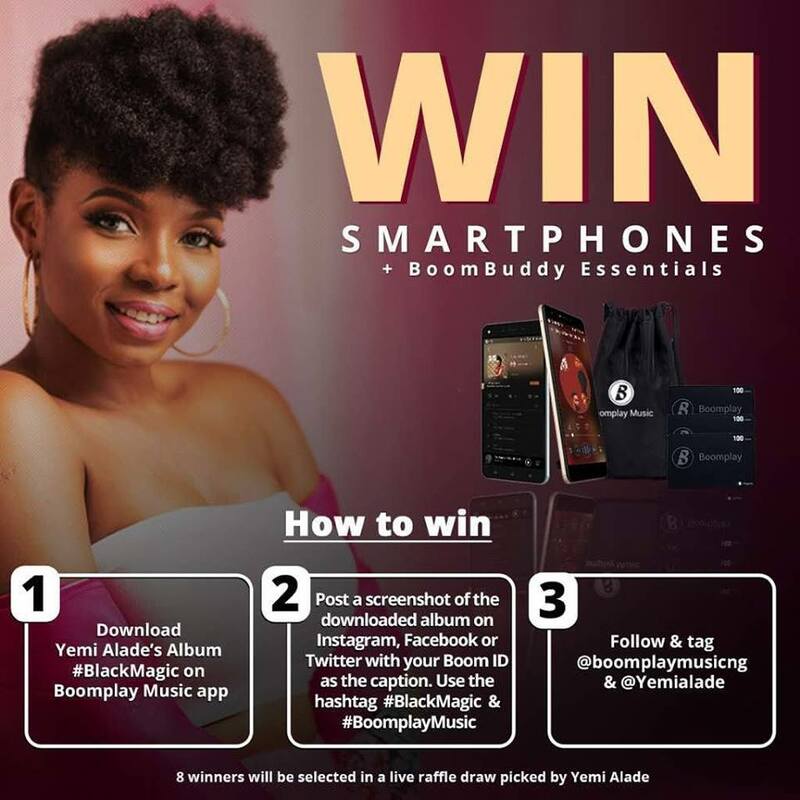 Follow &Tag @Boomplaymusicng & Yemi Alade. 8 Fans to Win in Live Raffle Draw picked by Yemi Alade.